Our Hindi serials are sometimes stupid, unrealistic, funny and even unreasonable too. However, the most important thing is that they are entertaining. From Shaktimaan to Ye Hai Mohabbatein, these tele-serials have taught us many lessons. 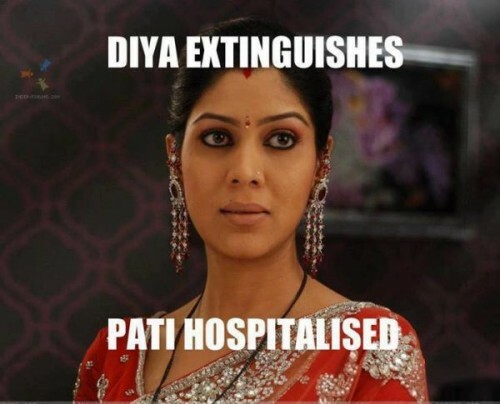 Today , we share about 11 things that we have learnt the most from the TV serials. 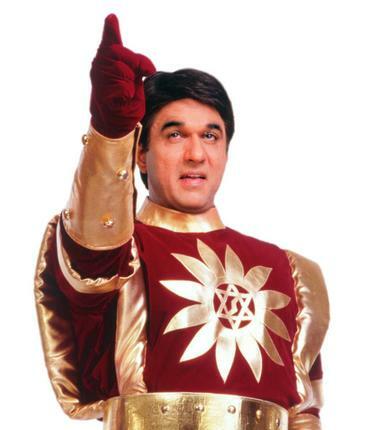 The TV serial Shaktimaan had taught us many things. However, the most important lesson that it taught was we should think several times before trusting anyone. Raja and Rancho was one of the popular TV show. In which Rancho, the monkey helped Raja a lot when he was in trouble. Their bond was real and extraordinary. This serial also taught us that we should not treat the animal badly. 3. Living with grandparents is the funniest experience! 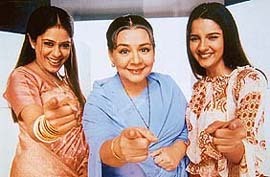 Shararat was the most enjoyable TV serial. The role of nani was played by Farida Jalal. She was always ready to help. She was the naughtiest nani. Lots of magic, laughter and love was there in this show. Serials like these were not only relaxing but also were enjoyable with family. TV serial Chacha Chaudhary has given us a lesson that both physical and mental strength are important. Where Chacha Chaudhary was an expert in solving crimes with his superfast brain, there Sabu was a physically strong character. Chacha Chaudhary was incomplete without Sabu. Together, they were a great team. First you got married to whom you hate the most. Eventually, you fall in love with them. Bade Ache Lagte Hain, Madhubala, Iss Pyaar Ko Kya Naam Doon and many more TV serials are based on this plot. These Hindi TV serials revolved around separating and reconciling with one’s partner. Mostly TV shows are women-centric, and the lead character of the serial is cursed with extreme rotten luck. They have to go through some of the worst situations of the world. From Tulsi to Ishi ma, all female characters are shown as victims. Even they are easily betrayed and fooled. It is important to be in proper attire whether you are sick, or in trouble, or going to sleep, or wake up in the morning. In every situation, you should be with perfect makeup and fully dressed. Even your sindoor and mangalsutra should also remain in place. Numerous times our lead actors of TV serials come back again to life. Despite being cremated, the actor comes back again. It is amusing. Actor reborn, and also grows to his age from he died. After that twist come in our actor’s life. It became the turning point for the serial. If the diva is extinguished, then it is a sign of something horrible is going to happen. Yes, memory loss can be cured by true love. This lesson was taught by many TV serials and even movies too. After a terrible accident the hero of our serial recovers in no time, if the heroine loves him enough. Even the hero comes out of coma, and regains his memory too. Only the thing that is needed is the heroine inner monologue with god, and tears in her eyes. From our TV serials we have learnt that we should not use our skills or powers for any wrong reason. We learnt this lesson from the TV serial Shakalaka Boom Boom. In this Sanju was a wise kid, who was in a lead role. He never used his magical pencil for any wrong reason.